At MINI of Annapolis, we know about the importance of a good set of tires. With the right tires, you can drive with confidence safely around Annapolis, Highland Beach and Hillsmere Shores. You can trust our tire center to effectively repair or replace your tires. Read all about our services below, and contact us if you have any questions. As you know, each vehicle type requires a different type and size of tire. You would not use a standard performance tire on a commercial truck, for example. We want you to feel assured that you have the correct tire for your vehicle type. Whether you have a sedan, SUV or other vehicle, we’ll find the right tires for it. The following are what you’ll find at our tire center. Adrenaline junkie with a racy personality. They’re the tire equivalent of that snazzy checkerboard racing pattern. With low-profile side walls, larger tread blocks for improved grip, and stiff sidewalls for better handling, MINI Approved Performance Tires are as much art as science. Practical yet fun – adapts to almost any situation. When flexibility and versatility are tops on your list of sole mate qualities, seek out MINI Approved All-Season Tires. These multi-faceted performers are built for smooth handling and solid traction in road conditions ranging from picture-perfect to mud or light snow. Enjoys cold weather and motoring in the snow. When others are spinning out around you, you can stay in control, thanks to MINI Approved Winter Tires. High science helps to get you home in high style with a sophisticated tread design that grips ice and snow like nobody’s business. Not only will we help you find the right tires, but we’ll install them in our state-of-the-art service center. Our certified technicians are experts on all things tires. Therefore, they can put the tires on your car in the proper formation. We’ll also rotate your tires regularly to prevent uneven wear. The front tires tend to wear faster, especially on the outside edges when turning a corner. If the tires stay in place, you’ll need to replace the front ones more frequently, which can be very costly. Furthermore, we’ll check for tire pressure. When your tires are properly inflated, your vehicle will get better gas mileage, the tires will last longer and the car will handle more smoothly. Underinflated or overinflated tires can cause serious issues on the road. Tire tread is important, too. When the tires lose tread over time, they won’t be able to grip the road properly. This can cause you to lose control when driving, especially on slippery road surfaces. We’ll check the tread depth of each tire and get you a new set, if needed. 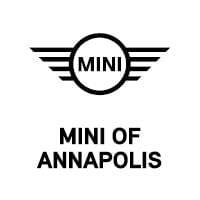 If you need new tires, or any type of tire service, schedule an appointment at our MINI of Annapolis Tire Center. We’ll get your car running as good as new, so you can get back on the streets of Annapolis, Highland Beach and Hillsmere Shores as soon as possible.